Tranditional Means Classic? 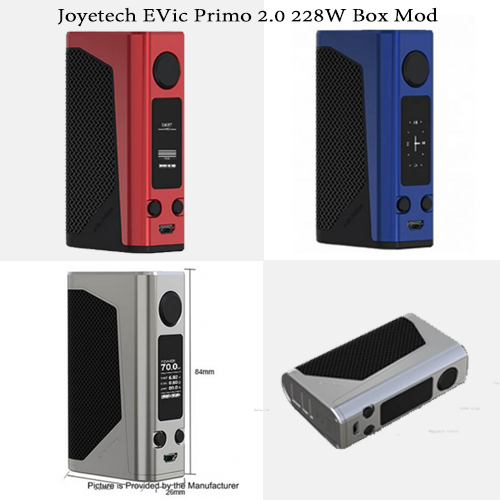 Joyetech EVic Primo 2.0 Mod! Please check out! This item, actually, it looks no difference from other tranditional, no special shape, no lightful LED. But the simple appearance may give you the most pure vaping experience! The Joyetech eVic Primo 2.0 provides durability and reliability with a 228W maximum output. Featuring the new equalizing charge system, it supports 2.0A quick charge capability. The eVic Primo 2 also comes with upgradeable firmware, as well as multiple fashionable features including the real-time clock, custom logo and preheat.